Dilcia met Mi Esperanza co-founder Lori and her husband Mark the summer of 2005 when her community of Molaloa was experiencing flash flooding and her land was being washed away by the water. Dilcia and her children had to leave their home because of the danger their house would fall. She was moved to a shelter that TORCH set up in a community church. Dilcia at the time had 3 sons Jefferson 4 and her twin boys of 3 months. Through the work of TORCH missions who Lori and Mark work, Dilcia's house was saved and she was able to return to her home. Lori and Dilcia have remained friends and in contact ever since. 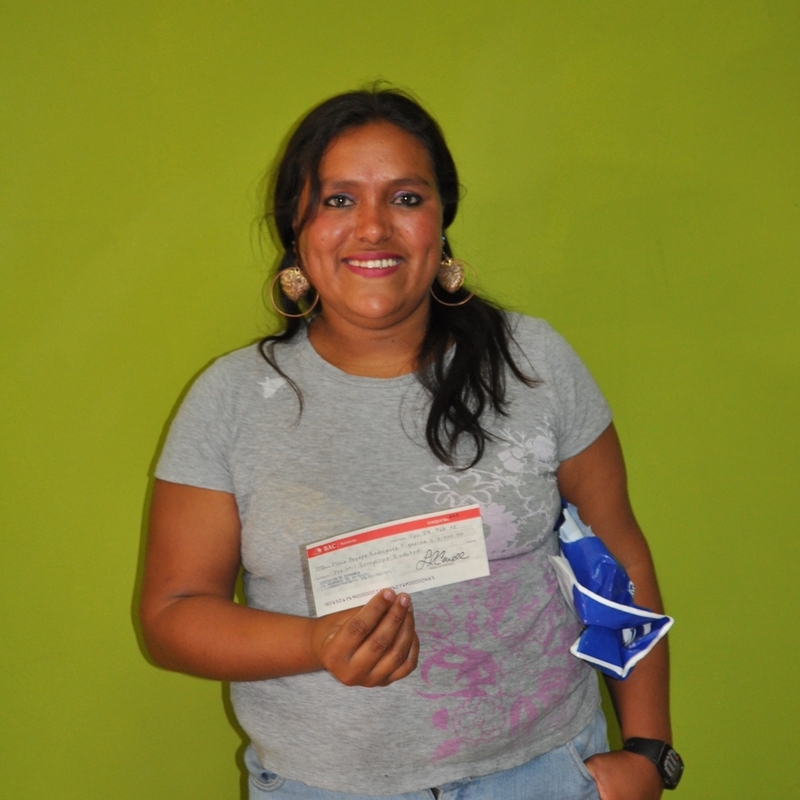 In March of 2012 Dilcia applied to the Mi Esperanza's Micro-loan program to start a fruit stand business in her barrio. She was so excited to begin a business that would allow her to be close to home to care for her mentally delayed son and still earn a living. Shortly after she began her business the gang in her community began demanding a "war tax" to keep her business open..not making enough to pay the tax and still earn a profit she was forced to close her business. In 2014 Mi Esperanza held a satellite sewing training course in her community and Dilcia signed up. She was very dedicated to her study and finished at the top of her class. She bought a manual sewing machine and began sewing clothes in her community as a source of income for her family. 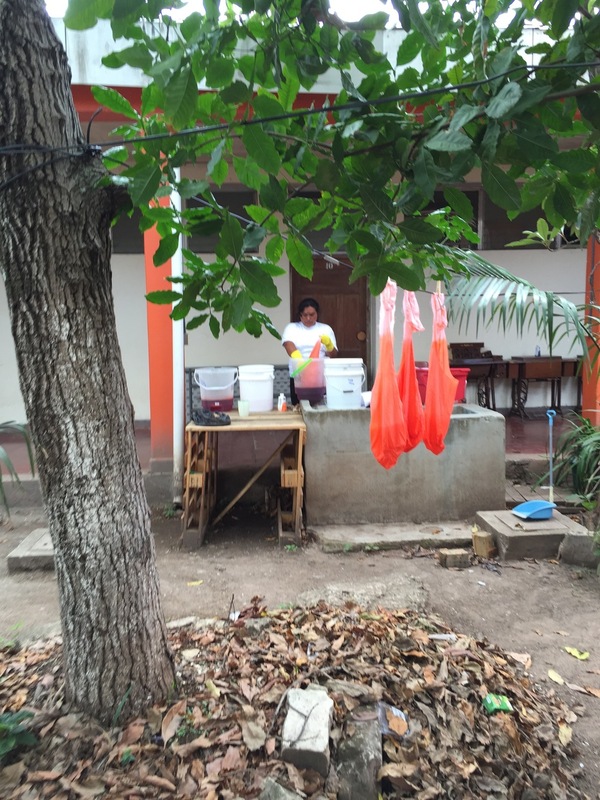 In January of 2015 Mi Esperanza was beginning to implement a new line of hand-dyed products and was in need of a dye artisan. Dilcia was chosen to work with EA Lepine, board member and designer/owner of arrowroot clothing to learn to dye fabrics. Dilcia was beyond excited for the opportunity to learn a new skill and an opportunity for work. Dilcia is now our dye artisan and doing an amazing job. She is working on Mi Esperanza products and products for our partners in hope.